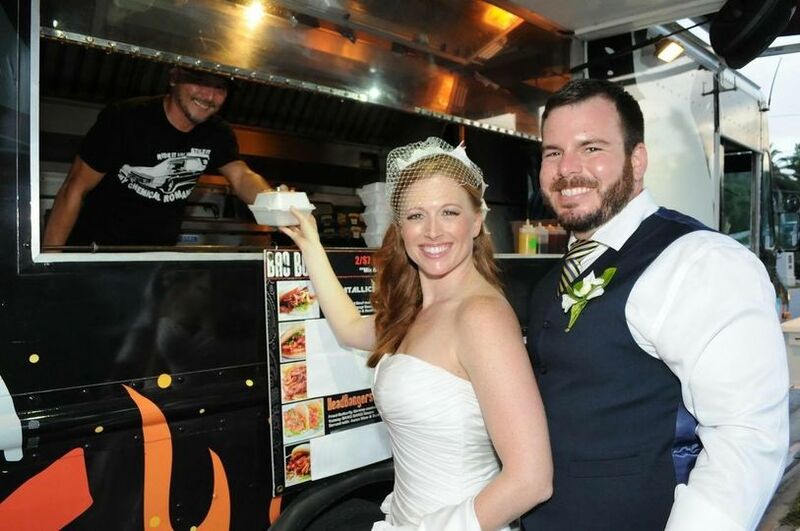 Tampa Bay Food Trucks serves as the premier food truck wedding caterer in the Tampa Bay area. 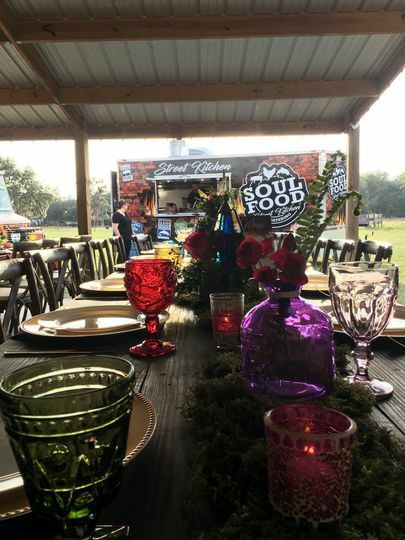 We work with you from start to finish with booking food trucks, building your custom menu, providing everything from silverware to napkins, providing an easy hand off set up and clean up, and more for the big day. 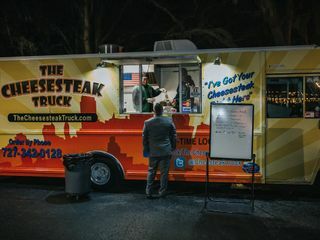 Tampa Bay Food Trucks is a full-service business that works with self-contained food trucks. 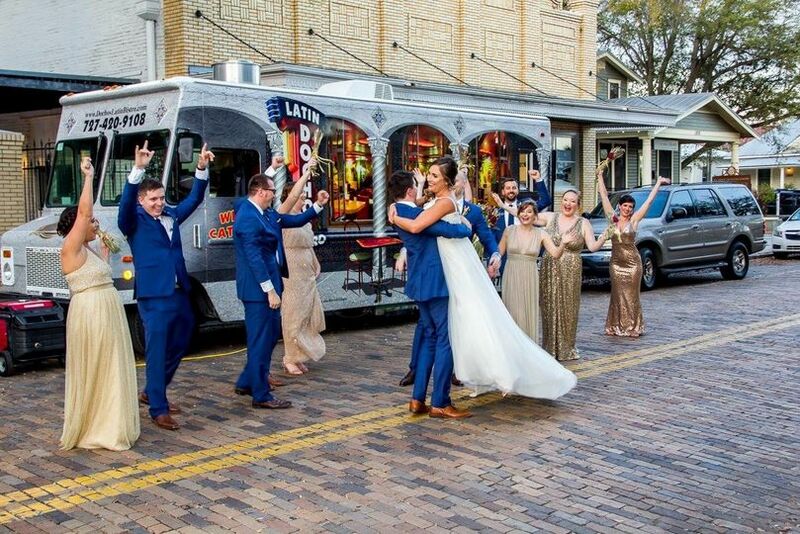 Tampa Bay Food Trucks offers the flexibility you want for your wedding. 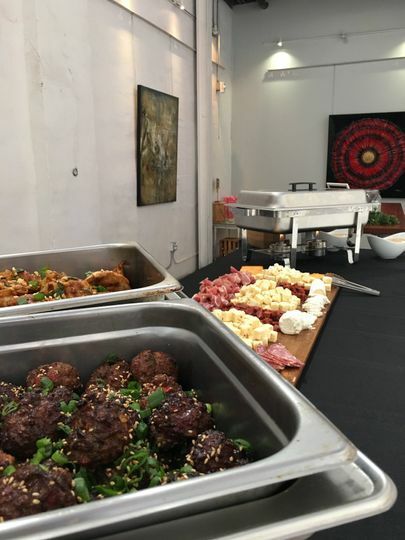 Have your guests order their food at the truck window, or have the vendors set up a buffet next to the truck -- it’s your call. 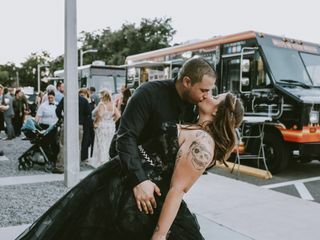 Your Tampa Bay Food Trucks coordinator can handle everything from full-service planning to helping pick the right mobile vendor. Main Courses, Dessert & More! 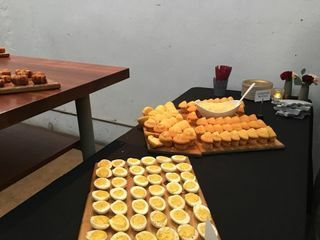 Kim and Soul Food Street Kitchen were amazing! 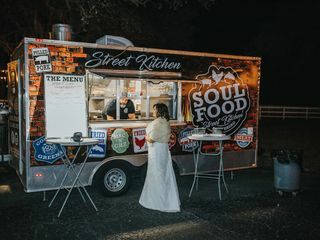 We first met with Kim from food truck rally, she from there learned about us and what food we’d be interested in and helped us find Soul Food Street Kitchen. She was amazing from start to end. 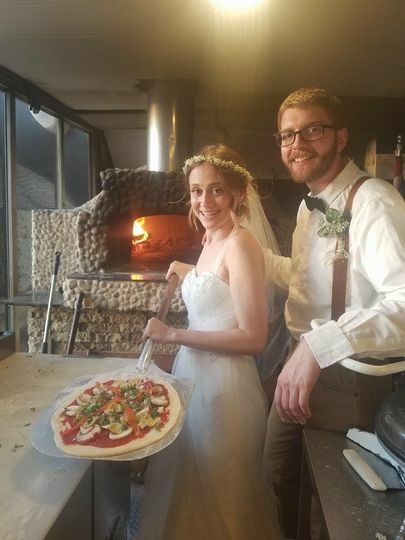 We really wanted the food at our wedding to be fresh, fun and amazing and it was. 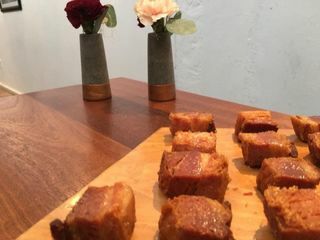 My husband is a chef and he really appreciates the fact that the food is cooked mainly on site giving it the best flavor. 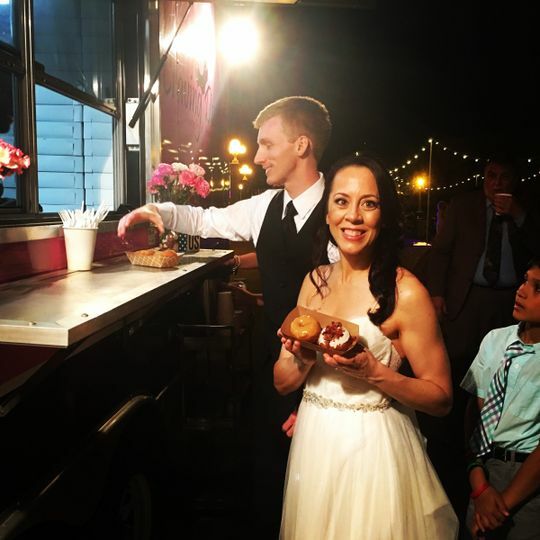 Our venue has certain restrictions and even though we were doing a food truck wedding still wanted a certain level of service Kim achieved that,giving food trucks with table service . 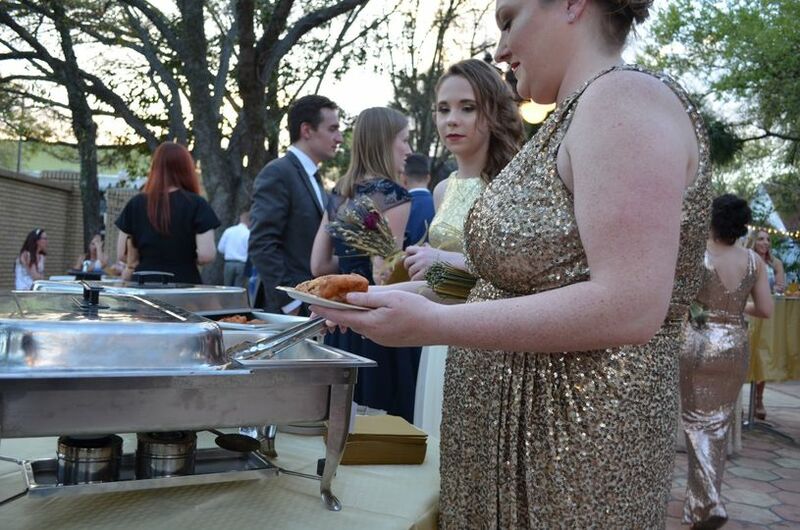 She was there to make sure waters were on the table and refilled, trash was being removed from tables, and the end of the night clean up went smoothly. She even made menus that perfectly matched my decor.Food truck wedding doesn’t have to mean super causal, Kim took in our vision from cocktail hour, to lightening,dinner service to clean up and made it happen. She is friendly and laid back and makes you feel comfortable to talk your ideas through with. Also she teamed up with my wedding planner to help run the show! I think vendors that work with other vendors well is super important! Alex and Ryan you both will have a special place in my heart always. Thank you for allowing me to assist with your big day and trusting me with the responsibility. I wish you both many, many years of blessings and love. Remarkable service and food was delicious. 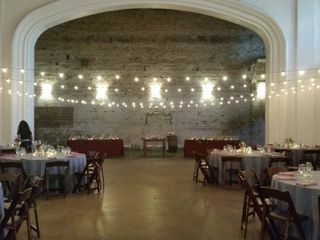 Highly recommend the for any event! Thank you Kim and Team! Pleasure meeting you and wishing you always best of luck and many blessings! Thank you for taking the time to submit a review for us. Thank you for allowing us the opportunity to assist on such a big day. We wish your son and daughter in law the most love for many years to come. 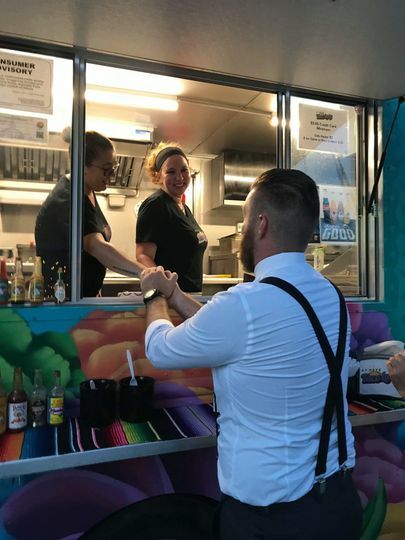 Kim at Tampa Food Trucks was absolutely amazing! 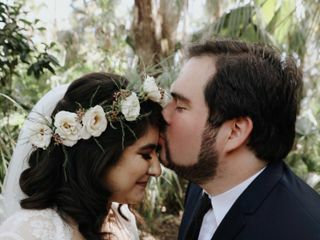 She took all of the stress out of planning our backyard wedding. 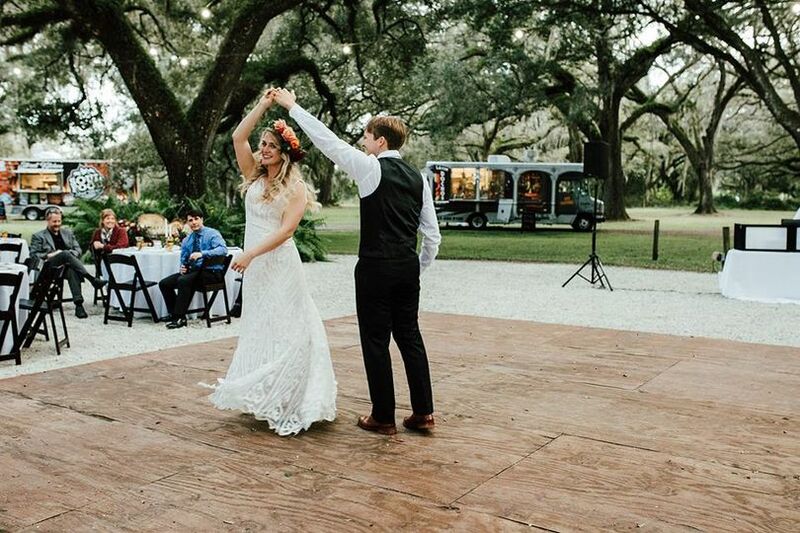 From recommending the food truck, to helping with all of the rental equipment, to saving the day (and parts of the ceremony) on our actual wedding day. She is a pleasure to work with and extremely responsive. And the food truck she helped us choose served wonderful food and they were equally as professional. You can't go wrong!! Thank you so much for your kind words. 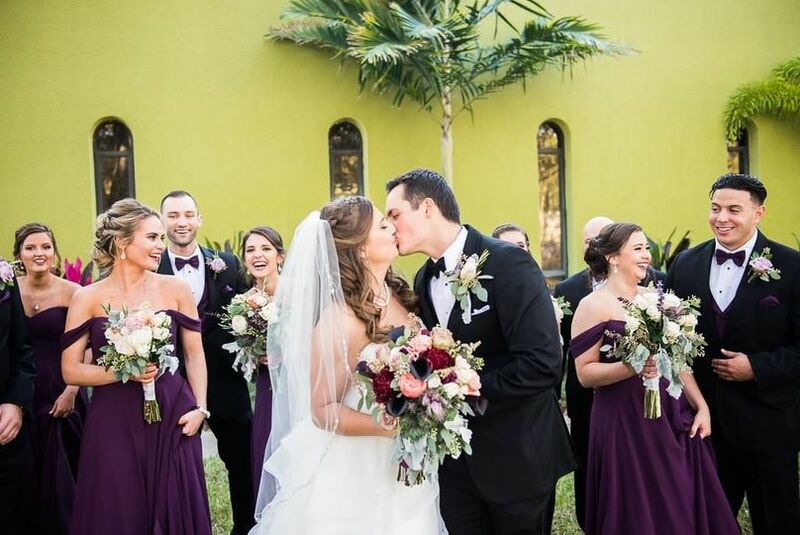 I appreciate the fact that you and Aaron trusted your big day to our company and our services. I wish for many years of love and happiness for you both!